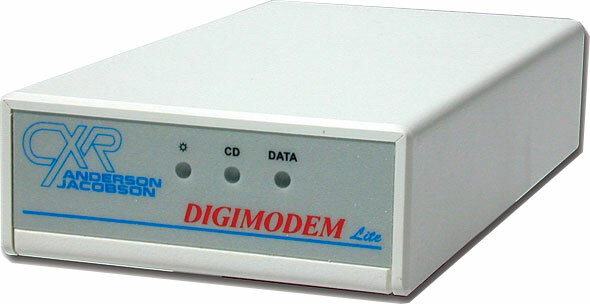 Digimodem 6411 / 6434 is an ISDN adapter for 2B+D So Basic Rate Interface access. The range of products enables all kind of digital communications with asynchronous and synchronous protocols as well as interworking with equipment connect through the voice switched telephone network thanks to an embedded V21-V34 modem over B channel. 6411 - 6434 supports most ISDN asynchronous rate adaptation protocols such as V14, V110, V120, PAD X25, PPP. Synchronous transfer is made through HDLC and B/D frame relaying modes. 6411 adapter provide always-ON X25 access over the D channel, or ultra-fast X25 connection to B channel at 64 kbps rate. 6434 rack card enables asynchronous communication grooming in a 19'' chassis. It embeds a Fax Group 3 and V21 - V34 multimode modem that raise performance of remote metering, data collecting, monitoring and remote control application to any type of remote device connected on the dial-up, ISDN or mobile GSM network. 6411 and 6434 Digimodem adapters comply with ETSI EuroISDN network protocol standards.